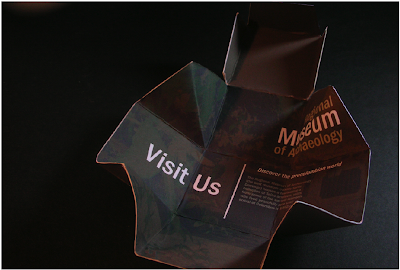 The purpose of this project was to create a unconventional request to visit the museum. 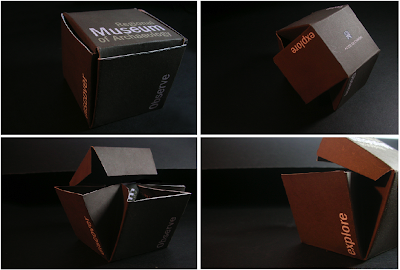 This design has the purpose of arousing the viewer’s curiosity using a box form. It incites the viewer to discover what it bears, therefore generating an interest in discovering the museum. View more Roxanne Bello's work at her Portfolio blog, Postcards blog and Experimental blog.